Angers shines in grand. 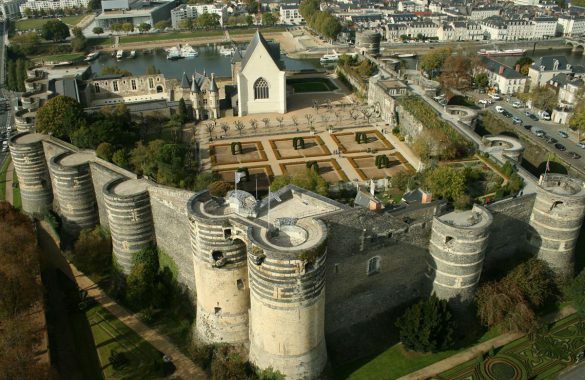 Imagine… Places picturesque lined houses timber-framed, the appointment of friends, excursions Café cultural finaudes… Proud of its historic heritage that has so many stories to tell, Angers doesn’t sleep for as much about his past. Known for its relaxed lifestyle, it is vitality that takes you. In this city that is full of moods and activities, the Getaways often promise surprises. 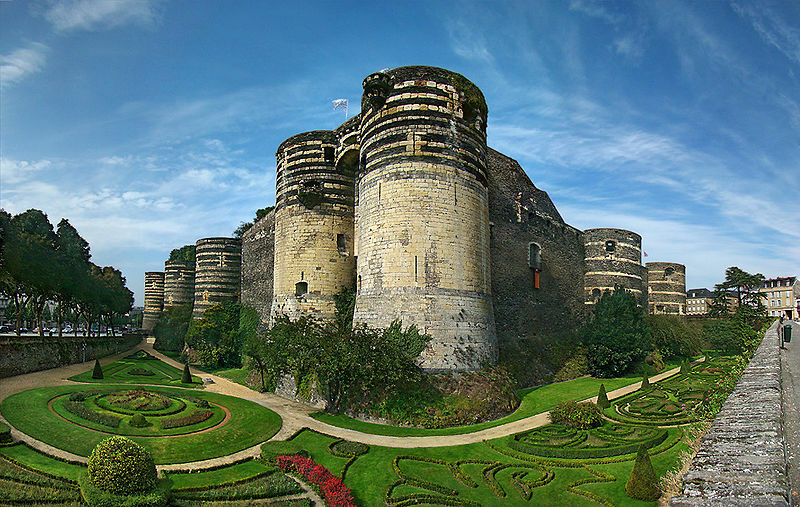 The castel located on the châteaux of the Loire Valley route. 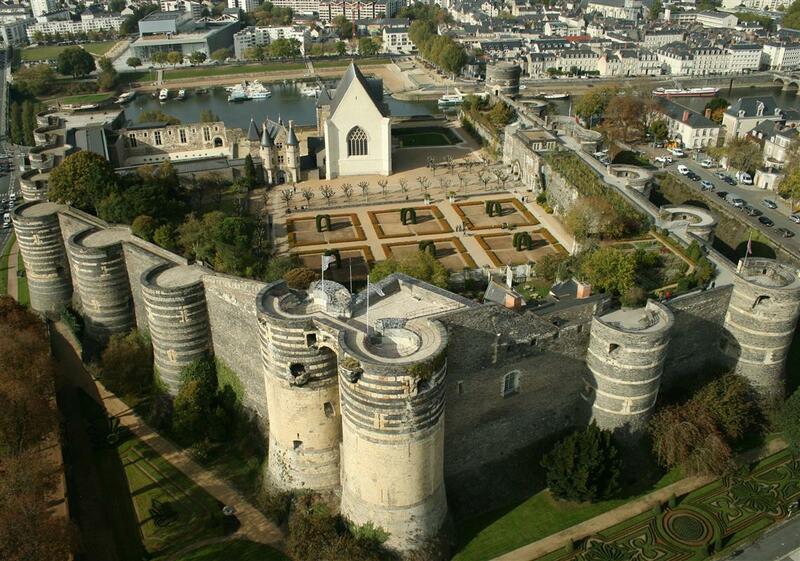 This incredible 17 tower fortress stands proudly in the town centre. It is home to the famous Apocalypse Tapestry, a medieval set of tapestries and the only one of its kind in Europe. Discover one of the best conserved medieval fortresses in France boasting ½ kilometre of ramparts, 17 towers and a surface area of 20 000 m2. 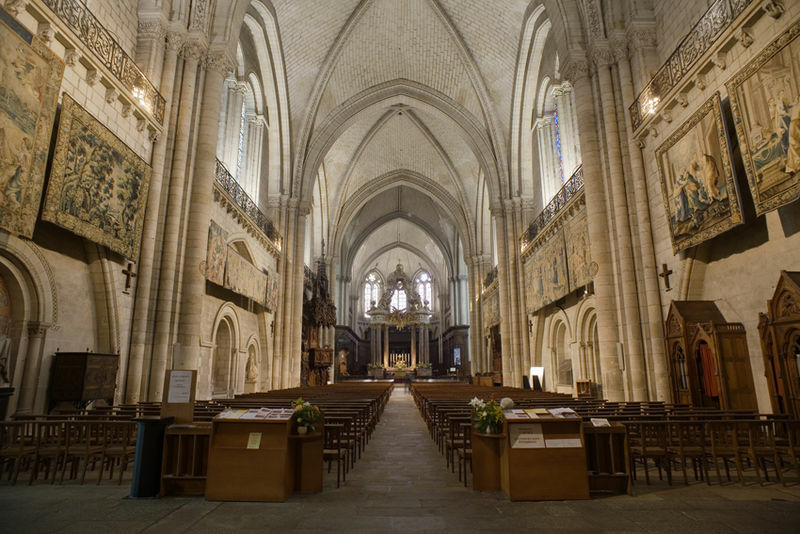 St Maurice cathedral, built between the mid 12th century and 1250 was the first Angevin Gothic style building : arched vaults comprising ogives and a nave consisting of three simple bays with single bays on either side of a crossing forming transepts, followed by a single-bay choir, backed by an apse. The cathedral also boasts some beautiful stain-glass windows from the 12th, 13th and 15th centuries. St Martin collegiate church : 20 years of work for 20 centuries of Angevin history : the Departement of Maine-et-Loire has resuscitated the Saint-Martin collegiate church, one of the best conserved Carolingian monuments in France. Take a trip back in time through the permanent and temporary exhibitions. Family visits (discovery trail for children aged between 7 and 11). 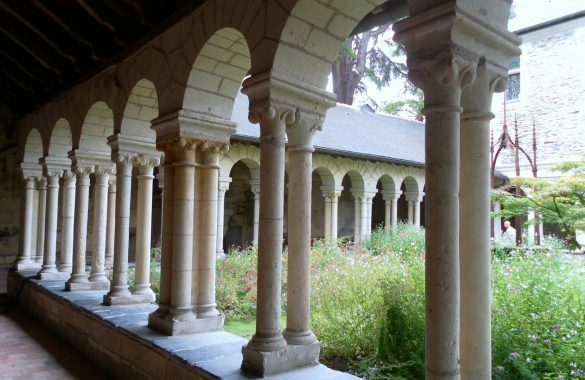 David d’Angers gallery : Since 1984, the 13th century Toussaint abbey church has housed the works of the sculptor David d’Angers (1788-1856). Thanks to the numerous donations that the artist gives to his birth town, the museum boasts an impressive collection. Musée des Beaux-Arts : located within the 15th century hôtel particulier Logis Barrault since 1796, a fine example of civil Gothic architecture. This renovated fine arts museum offers a 3000m² exhibition hall comprising two permanent tours : “Beaux-Arts” (350 paintings and sculptures from the 14th century to the present day) and the “History of Angers” (555 archeological pieces and art objects from the Neolithic period to the present day). 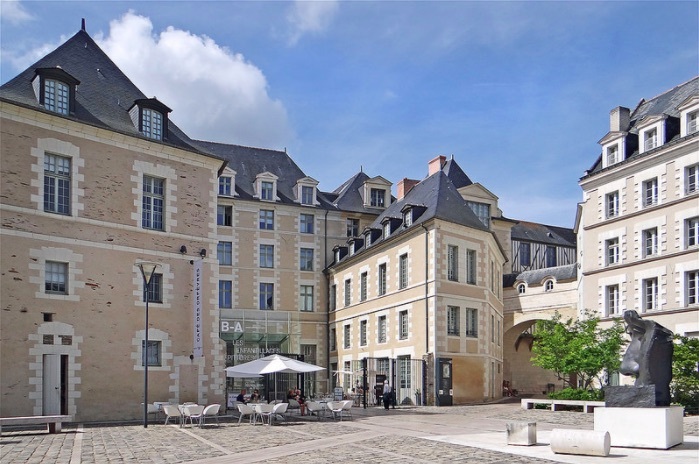 Musée Jean Lurçat and the contemporary tapestry : the collections displays works which situate textile arts in history. The display, located on two different sites, follows the history of tapestry from the 1950s to modern day. 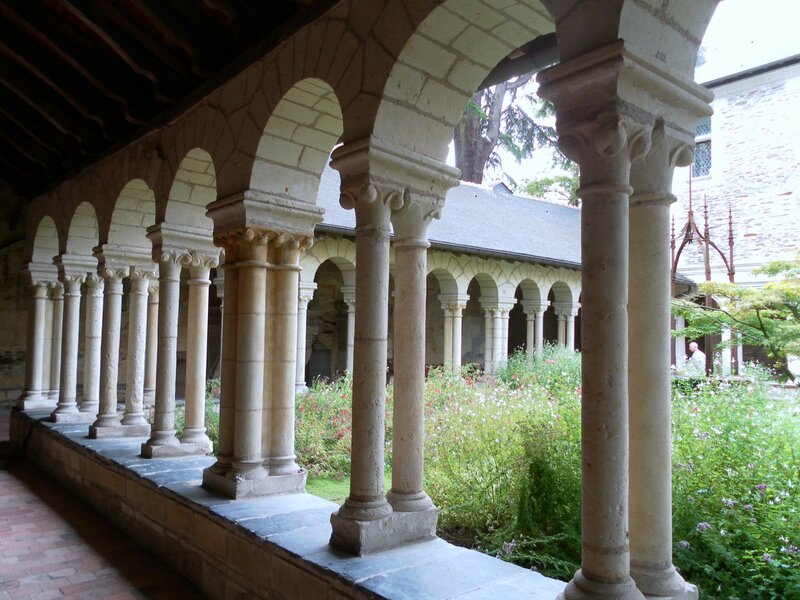 Hôpital Saint-Jean, a remarkable 12th century architectural ensemble, has housed “Le Chant du Monde” by Jean Lurçat (1957-1966) since 1968. This collection of ten tapestries reflects an epic, poetic, symbolic and humanist vision of the 20th century. Natural History Museum : located in the town centre in two historic buildings linked by a French style garden. Discover the amazing diversity of living forms over a hundred million years of evolution. It will make you realise the fragility of nature and the danger of extinction of certain species. You will also come face to face with colourful parrots and numerous bird species during your visit. 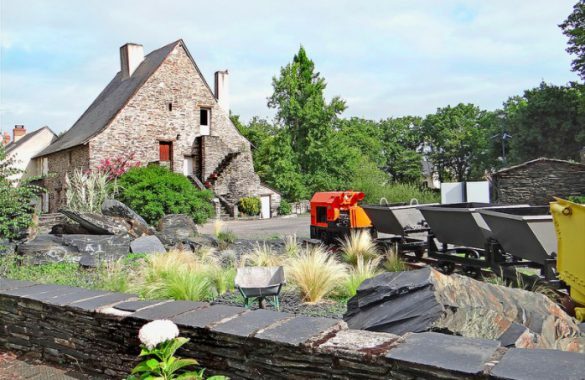 Musée de l’ardoise (Trélazé) : the slate museum retraces 600 years of history of shale miners. Discover the region’s geology, the evolution of quarrying and the daily life of slate workers.